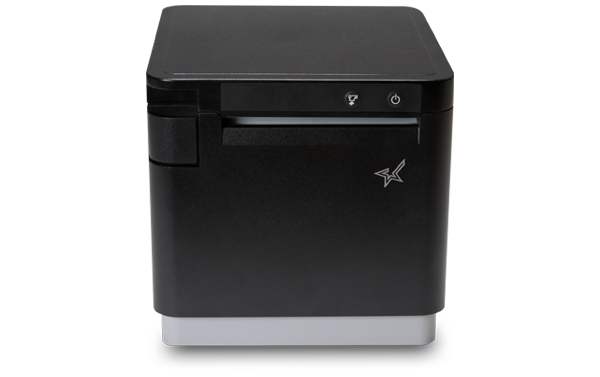 The mC-Print3 is the mCollection's 3-inch POS printer. 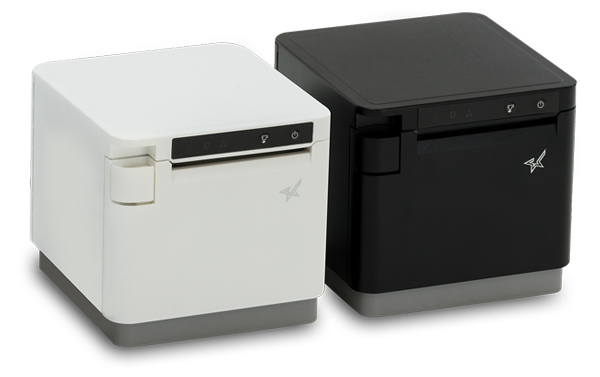 Star's compact mC-Print3 is 40% smaller than the TSP650II. 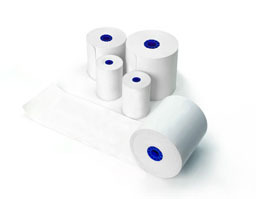 The mC-Print3 provides a front-loading paper loading design with exceptional functionality. 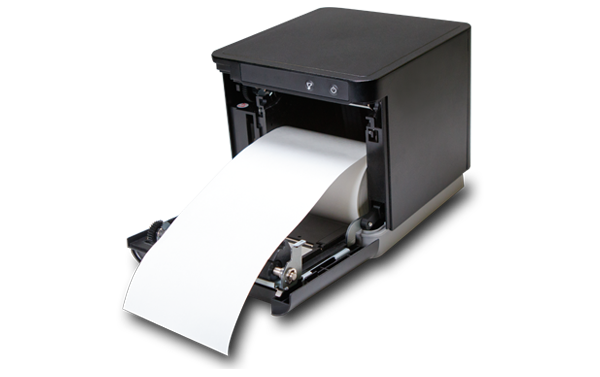 This 3-inch thermal printer offers multiple connectivity options including USB, Lightning, Bluetooth, LAN, and cloudPRNT/WebPRNT. The 5 connections are all a part of the mC-Print3 model, making the printer adaptable to any future POS system changes. Additionally, the multiple connectivity options all for the easy integration of common software. 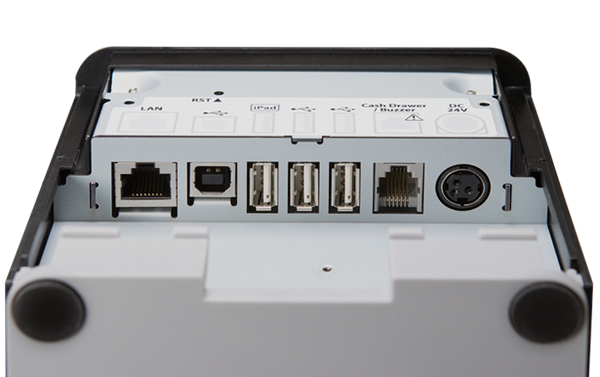 mC-Print3's hub functionality allows for the USB connectivity of up to 3 peripherals. 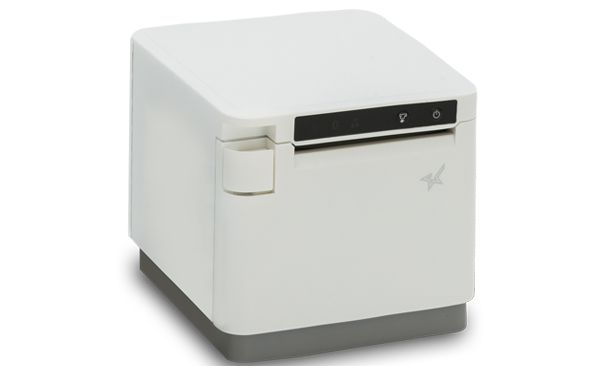 The peripherals available for the mCollection include such 3 mG-Scales, 1D & 2D scanners, cash drawers, line displays, and kitchen buzzers. Every component of the mCollection was designed to be chic, compact, and consistent to allow for a unified look in any business environment. MG-S322, MG-S1501, MG-S8200, 1D BCR, 2D Imager, Line Display, Kitchen Buzzer, Cash Drawer. Easy User Experience Simple to setup, easy to use. Common SDK Perfect for ISVs, easy to integrate. External Power Supply New smaller power supply. 30% smaller than the older version. Front Paper Loading Front paper loading for a Flat Top design. Cable Management Hidden cable management for clean counter space. Front Exit Printing Printing from the front for under the counter printing. PromoPRNT Customize promotional receipts to meet any need. From Social Media, Coupons, Website Traffic, Store Hours, and more!